Our high tensile fencing wire cutter is a top tool for chopping down fencing wire. 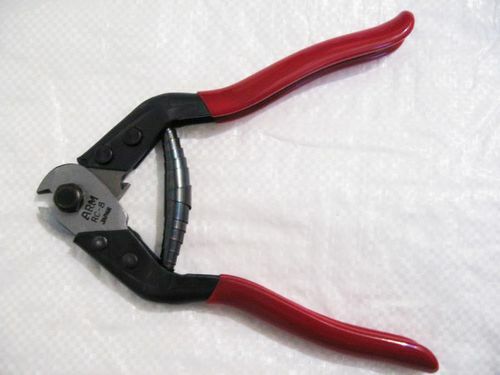 These cable cutters are suitable for cutting wire rope and cable. Superb for snipping and cutting smaller wire ropes quickly & easily. This Wire Rope Cable Cutter Is Great For Cutting Wire Ropes And Cables. At SecureFix Direct we take great pride in providing only the best quality of garden equipment and tools, and our high tensile wire and wire rope cutters are second to none. Our high tensile wire and wire rope cutters can be used for cutting even the thinnest of wires without spreading cutting-faces. Both of our high tensile wire and our wire rope cutters have been made using special materials which are then drop forged to harden the blades. This enables the cutters to be highly durable and long lasting as they are also coated in a finish which aids against rust. Here at SecureFix Direct our wire rope cutters come in an array of sizes, the blades to the cutters are made from a special material which is then drop-forged and high-frequency treated. The wire rope cutters will compress the cable while cutting to ensure the cable doesn’t splay out and has a neat and tidy cut to finish which is highly important when cutting wire rope for rigging purposes. All of our cutters feature high quality comfortable rubber handles to help increase grip when in use. We have many years of experience when it comes to providing customers with high quality products at the most competitive prices, you can always find the best deals when you order from us. Not only that, but we also offer a free, fast delivery. If you would like further details about our service or products a member of our friendly team will be more than happy to help you today.